Global Travel Media » Blog Archive » Is this the only place tourism hasn’t penetrated? Is this the only place tourism hasn’t penetrated? Tourists and travellers (the distinction often blurs) can now visit pretty much anywhere on earth, from remote Arctic islands to equatorial jungles – but there’s still one place so remote that travellers venturing there risk being shot full of arrows by enraged tribesmen – as happened this week. 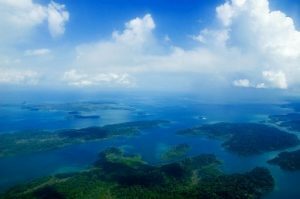 Earlier this week an endangered tribe killed an American adventurer and missionary who entered their territory in India’s far-flung Andaman and Nicobar islands. 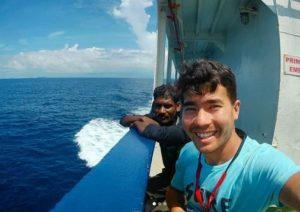 The deceased has been identified as John Allen Chau, a 27 year old from Alabama. Fishermen who took him to North Sentinel island say tribesmen shot arrows into him and left his body on the beach, the BBC reported yesterday. Chau seems to have died in similar manner to the great English explorer and navigator Captain James Cook, 239 years ago. Cook was clubbed and speared to death on the beach by natives of Hawaii during his third visit there on 14 February 1779. 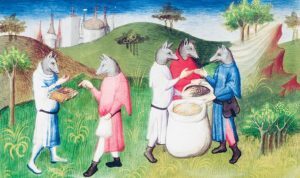 The Andaman Islands in the Bay of Bengal were once said to be inhabited by wolf-headed people, who were depicted in a “book of wonders” produced in Paris in the early 15th century. Some endangered Andaman tribes have chosen to live in isolation from the world and the Indian government supports their decision. The Sentinelese, numbering perhaps less than 150, are totally cut off from civilisation, which protects them from outside diseases such as measles and influenza, which could kill them. The Sentinelese are hunter-gatherers who speak their own language, unrelated to all others. They are believed to be the last pre-Neolithic (late Stone Age) tribe in the world. Chau’s body was sighted on Tuesday. The Hindustan Times reports that his remains have yet to be recovered. A local journalist who has been writing about the islands for years told the BBC Hindi service it is illegal to have any sort of contact with the Sentinelese. In 2017, the Indian government also said taking photographs or making videos of the indigenous Andaman tribes would be punishable with imprisonment of up to three years. The Andaman Islands form an archipelago in the Bay of Bengal between India, to the west, and Myanmar, to the north and east. The islands have perfect beaches and so far the developers have been kept at bay. 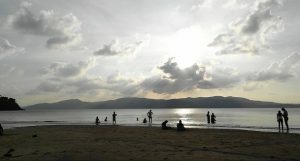 “Discover India’s best kept secret – the Andaman Islands,” adds TripAdvisor. In the 1830s and 1840s, shipwrecked crews who landed on the Andamans were often attacked and killed by the natives. 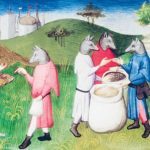 The islands had a reputation for cannibalism. The British colonised the islands in the 19th century, built a prison there and killed many of the indigenous inhabitants. The Japanese later occupied the islands during World War II and killed a lot more of the inhabitants. Today, global organisations like London-based Survival International are defending the rights of remote indigenous tribes simply to be left alone. The conflicts between the remote Andaman tribes and outsiders evokes comparisons with Aldous Huxley’s 1932 dystopian and prophetic novel “Brave New World, which features two vastly different settings: the World State and the Savage Reservation.